Dr. Thomas G. McGinn is deputy physician-in-chief and senior vice president at Northwell Health, and chair of medicine and the David J. Greene Professor of Medicine at the innovative new Hofstra Northwell School of Medicine. An internationally acknowledged authority in evidence-based medicine and comparative effectiveness, Tom built and continues to oversee an unprecedented expansion in both the scope and size of Northwell’s Department of Medicine research enterprise by focusing on cutting-edge study of healthcare delivery and patient-centered outcomes research. The foundation of Tom’s research and clinical programs is his belief that every patient deserves the best available evidence-based, highly integrated care and that health outcomes research can immediately transform healthcare delivery to reduce waste and enhance the quality of care. He was an early researcher in the health benefits of evidence-based medicine, preventive care, and patient empowerment, well before the Affordable Care Act institutionalized these principles. For over 20 years, he has received extensive federal, state, and foundation support for his work, including an innovative study of bringing state-of-the-art research to physicians at the point of care by integrating it into electronic medical records. He has published more than 100 peer-reviewed journal articles, numerous book chapters, and various social media programs. 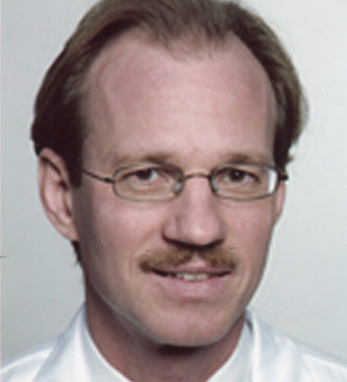 He is a diplomat of the American Board of Internal Medicine and a fellow of the Royal College of Physicians of Ireland. He earned his medical degree from SUNY Downstate, completed his residency in internal medicine at the Albert Einstein College of Medicine/ Bronx Municipal Hospital Center, and holds a Master of Public Health from Columbia University. He comes from a highly medical family: his father, uncle, brother, sister-in-law, and nephew all hold prominent roles in health care and the title “Dr. McGinn.” A third-generation Irish American with both paternal and maternal roots in County Tyrone, Tom was raised in New York City’s “Irish Riviera” – Breezy Point, where several family members continue to make their homes. He is an enthusiast of traditional Irish music and closely follows the Irish national rugby team and Gaelic sports, often ducking out of New York to take in a game or two (or three) in Dublin.